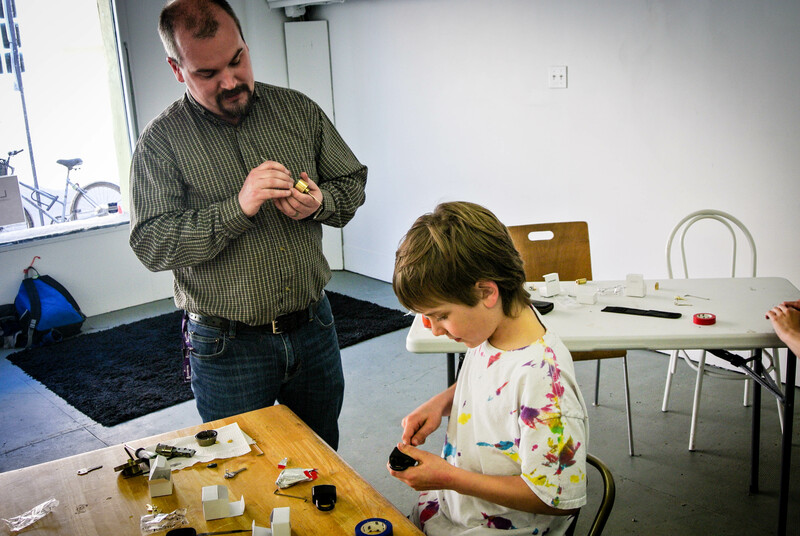 Maker Education – why teach children to pick locks? Last Wednesday (March 15th) we ran a lock-picking for kids after school class (huge thanks to Matt for running the class). 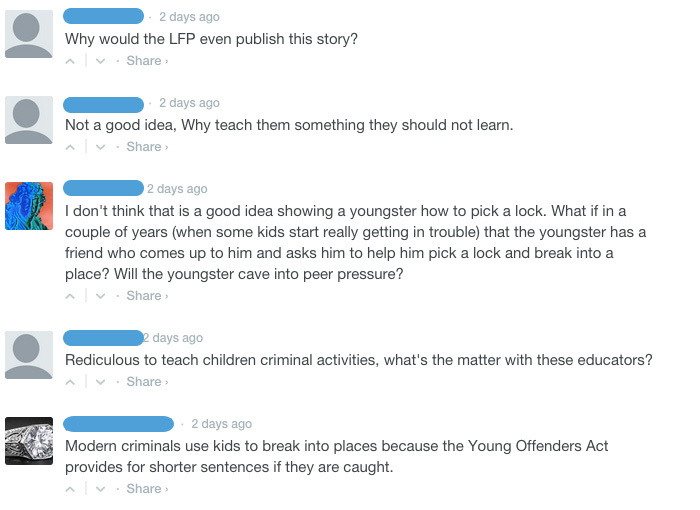 While we received a lot of amazing feedback about the class, we’ve also had some people in the comments section of the London Free Press questioning why we would teach children how to pick locks. These are entirely legitimate concerns – lock picking is often seen as something associated with unsavoury activities. So why would we teach children how to pick locks? Maker education is about empowerment. Our goal is to give people the tools and knowledge to create, build, and to learn by doing. Too many children are told not to do things. They are told to sit down, not to talk, not to make noise, and not to ask too many questions. The MakerBus encourages learners to do things – to stand up, to talk, to make noise, and to ask as many questions as they want to. Teaching children how to pick locks is hugely empowering. Matt, our lock-picking instructor, first gave the students two important ground rules – never pick a lock without permission and never break the law. After making sure the children knew the two rules by heart, he walked the children through how a lock actually works. In order to pick locks, you must have an understanding of mechanics of a lock. Once the children had an understanding of the mechanics of locks, they were given a chance to pick 2, 3, 4, and 5 pin locks, with each new lock being slightly more challenging. By the end of the 2 hour class, every student had figured out how to pick a 5 pin lock. Matt had even brought a real front door lock with him that the students learned how to pick. At the end of the class the students were given the opportunity to put their new skills to good use. Just before the class began we ran into a friend who had recently lost the key to their bike lock and was unable to remove the lock from their bike’s frame. Matt walked the children how to pick the lock and we successfully removed the lock without damaging it. The MakerBus was founded on the belief that people learn best by doing. With our network of amazing community partners like Matt (@MattHelps on twitter), we look forward to offering empowering workshops, classes, and events for everyone in our community for years to come. So why teach children to pick locks? Because it’s awesome!